This device supports microSDTM (TransFlash) memory cards (200GB max). 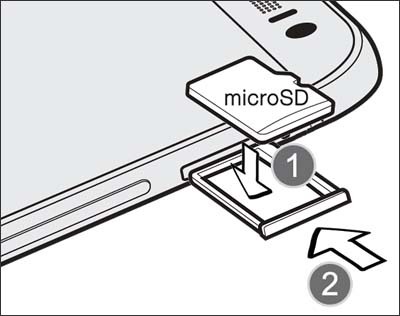 A microSD card can be purchased from any Verizon Wireless retail store or at the online store. 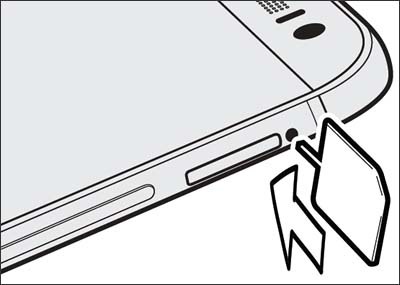 With the display facing up, utilize the insertion/removal tool to unlock the memory card tray by inserting it into the provided slot (pictured below) then remove the tray. With the gold contacts facing down, insert the memory card into the tray (figure 1) then insert the tray back into the slot (figure 2).